Many Mithril Pages @ Faerylands / Duinhir of Morthond MZ630 Mithril figure. » Duinhir of Morthond MZ630 Mithril figure. Re: Duinhir of Morthond MZ630 Mithril figure. I was surprised to see Elroi being on the contest, I thought he was not into mithril anymore nor painting miniatures... he is clearly the winner of the contest IMO, thought with an open vote you never know what can happen. No chance whatsoever, LOL . I would wholeheartedly agree with your comment Maenas, I would be very surprised indeed if Elroi didn't lift the 'crown' (although in Mithril-World nothing is ever certain ). I too wish you good luck Nino, I must admit I initially thought your entry had not been included when I had a quick glimpse at work, but maybe I was too quick to peep and close the forum in case work colleagues were looking over my shoulder . 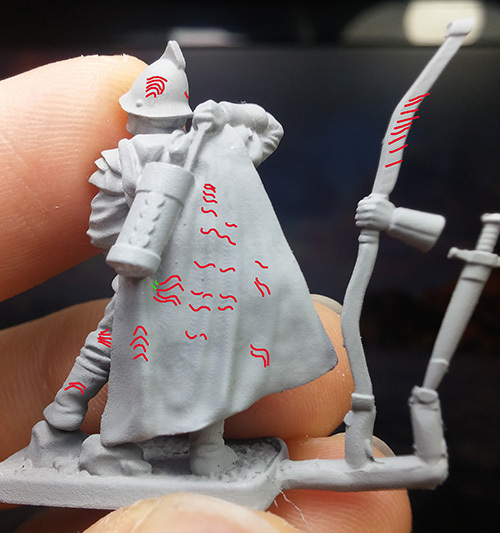 * Perhaps it is my eyes, but I really was not aware of the printing/casting 'flaws' pointed out in an earlier post by Maenas other than the lines on the bow and then only looking from an angle. Perhaps in future I will study the castings a bit closer. Roi has my vote for this painting competition but I dislike his color choices. It seems strange to me that a gondor captian wears green & red. Sorry for reviving this thread, I thought it could be the correct place to ask for the quality of the new MZ releases... 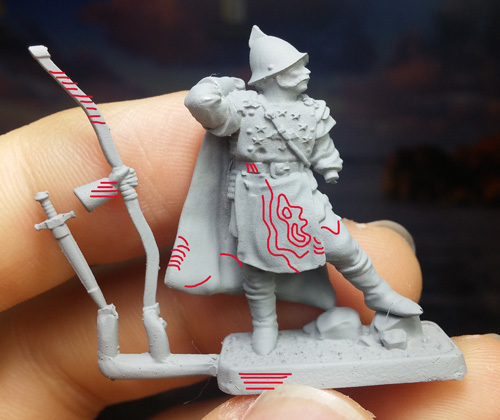 I did not bought any of them because I am looking for a bit of improvement on the finish quality of the miniatures.... I mean, do the last releases still show the 3D printed pattern? or they have reworked it and it is not noticeable any more? I am painting mine and did not notice 3D printed pattern. But I also have to say I bought glasses for 1st time in my life, so I may not be the right perso to say "fine" about such tiny details.